The glare of a spring sun. 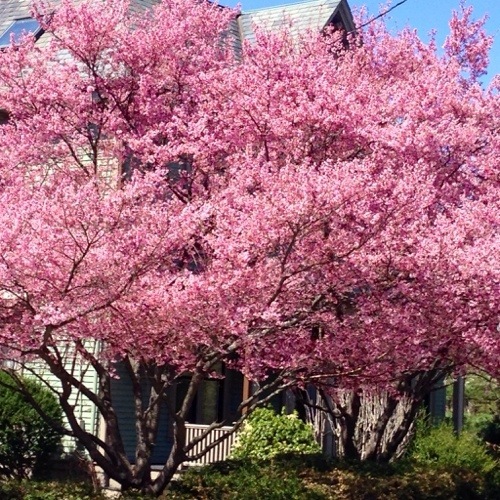 An explosion of flowers on a neighborhood tree (see above). Air from open car windows while you drive, music on loud. An almost foreign feeling, as the sun warms your skin. There’s nothing like the first warm weekend after a long winter. It is a time of renewal and a time for new life. To boot, it’s Easter Weekend and Marathon Monday in Boston, making for a long weekend. For the first time in 20 years, I won’t be cooking Easter dinner, and I instead will be in charge of clean-up. Some of my wife’s family will be coming over tonight for Easter dinner. They’re very kind. Some of my children will be putting on a home-spun play for them. Bit old school, I know. Wherever you are, my personal wish to you that this spring will be filled with renewed energy, peace and clarity in your life.